It is with great sadness that we announce the passing of Carole Harron (née Beebe) on April 24, 2017 at home in Cochrane, Alberta after a lengthy, courageous battle with ocular melanoma cancer. She was born in Montréal, Québec, Canada, to Laurence P. Beebe and Madeleine Dufour, both of whom have pre-deceased her. She is survived by her loving husband of 47 years Terrence (Terry) Harron ; children Eric Harron and Robert (Piper) Harron; grandchildren Alexandre Harron and Julien Harron ; brothers Joel (Valerie) Beebe; Lawrence (Sakina) Beebe and Marc (Irma) Beebe; nieces Carolyn Beebe, Geneviève Beebe and Chloé Beebe ; and, nephews Laurence Beebe and Marc (Carolyn) Beebe. 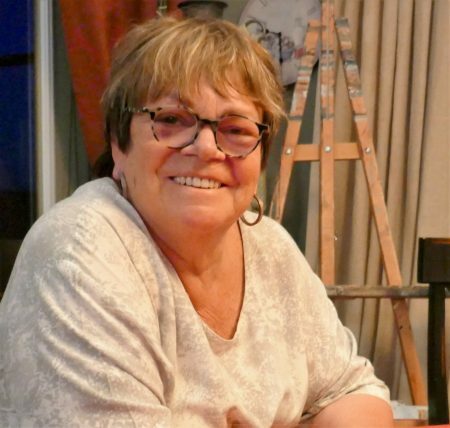 Carole was a worldly, forthright, spirited and feisty woman, full of « joie de vivre », with a passion for life in general and cooking, baking, painting and interior design in particular. She revelled in preparing gourmet meals for friends, neighbours and relatives. She was magnanimous and giving, and the ultimate hostess to all who crossed her doorstep. 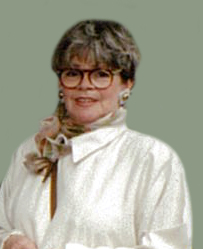 Carole was an accomplished artist with almost 300 paintings to her credit, and 4 published collections of her works (“Les Oeuvres de Carole Harron”). It was only during her first stay in Paris, at the age of 44, that she started to paint. Her natural talents for style and colour were enhanced during the periods that she lived in Paris and Frankfurt. Carole mastered several media (watercolour, oil and acrylic) and her paintings incorporate several subjects, such as, still life, people, landscapes and abstracts. Her landscapes have been greatly influenced by her recent proximity to the magnificent Canadian Rockies. Carole graduated from the Grey Nun’s (Soeurs Grises) Secretarial School (referred to as the “Motherhouse”) in Montréal in 1966, and worked as a bilingual legal secretary at the prestigious Montréal law firm Ogilvy, Renault (now Norton Rose) for 13 years. It was Carole’s wish that there be no viewing or ceremony. Anyone wishing to donate in her memory should consider the Tom Baker Cancer Centre in Calgary, or the Ocular Melanoma Foundation. HARRON, Carole (née Beebe), Montréal, (2 mai 1947-24 avril 2017), Cochrane Alberta, Canada. À regret nous annonçons le décès de Carole Harron à son domicile de Cochrane, Alberta, suite à un long et courageux combat contre un mélanome oculaire. Née à Montréal, fille de Madeleine Dufour et de Laurence P. Beebe décédés, Carole laisse dans le deuil son époux, Terrence (Terry) Harron, leurs fils Éric Harron et Robert (Piper) Harron; deux petits-fils, Alexandre Harron et Julien Harron; ses frères Joël (Valerie) Beebe, Lawrence (Sakina) Beebe et Marc (Irma) Beebe; ses nièces Carolyn Beebe, Geneviève Beebe et Chloé Beebe; ses neveux Laurence Beebe et Marc (Carolyn) Beebe. Carole obtint un diplôme de secrétaire exécutive bilingue à la Maison Mère des Sœurs Grises de Montréal en 1966. Elle fut secrétaire légale durant treize ans pour la firme Ogilvy, Renault (aujourd’hui Norton Rose). Ce n’est qu’à 44 ans que Carole se mit à peindre. Son talent naturel pour la couleur et le style prit son essor lors de séjours à Paris et à Francfort. Elle possède à son crédit près de trois-cents tableaux et quatre publications de ses œuvres sont déjà compilées et publiées. Ses paysages furent fortement influencés par son dernier séjour à proximité des magnifiques Rocheuses canadiennes. Carole fut aussi femme du monde, franche, fougueuse et combative, pleine d’entrain et de joie de vivre. Elle mordait dans la vie avec passion. Outre la peinture, elle brillait en tant que cordon-bleu, pâtissière, et décoratrice; rien ne lui était étranger ou indifférent en matière d’arts. Généreuse et ouverte à tous, Carole se montrait parfaite hôtesse pour quiconque entrait chez elle. I was fortunate to ‘cross her doorstep’ on a few occasions and to experience Carole’s warm and giving manner. She was an excellent host and the ‘cordon bleu’ meals she prepared always made for a memorable evening. She was a truly lovely person. My deepest sympathies to her family. So sorry to hear of Carole’s passing. Our condolences to Terry and their family. C’est avec peine que j’ai appris le décès de ma cousine Carole. Mes plus sincères sympathies à ses proches et leurs familles (Harron-Beebe-Dufour).